We are SO excited to introduce you to Joi! Joi is one of the pillars of our Preview community. She is bubbly, kind and creative. She is also the Feed Layout Queen. As you will see, she is rocking the “Line in the Middle” feed layout. This feed layout is her signature IG style. How does she do it? How does she take photos? Where does she find inspiration? How does she keep it consistent? Let’s go have some fun. Let’s enter her world. Hello Joi! Before we start, can you please introduce yourself to everyone? Who are you, where are you from and what do you do? Hey hey! I’m D’Ana Joi, I use my middle name for all of my branding because it fits my personality so well (and the internet cannot handle apostrophes yet lol). 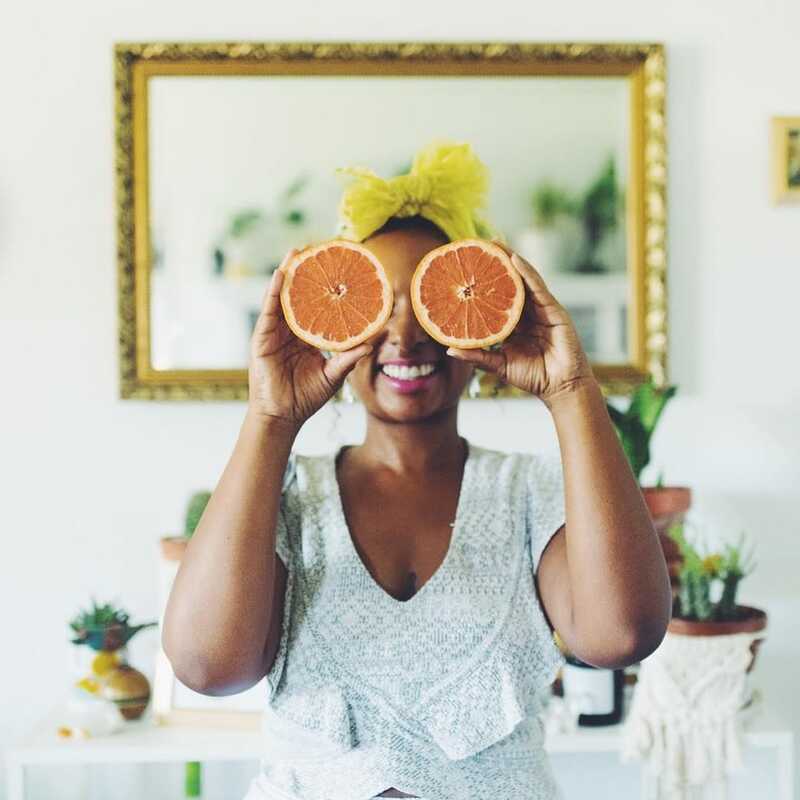 I’m a lifestyle blogger, freelance writer, photographer, Etsy shop owner, plant care enthusiast, crystal collector, singer and songwriter, and lover of all things creative. I live in L.A. where I was born and raised. We asked our peeps on Instagram to ask you any questions and they have some really good ones for you. Thank you to everyone who sent questions! We picked as many as we could and selected the most frequently asked ones. Take a cup of tea or coffee or water. I feel that inspiration finds me. By being tuned into the present moment, inspiration can arise from almost anything in my day to day life. In a more concrete way, I am forever inspired by the beauty of plants and the magic of crystals. I keep both around me constantly in my home. I’m also very inspired by the creative women I have in my life. Watching my friends create their products and run their own businesses has been a great catalyst for my own inspiration. What are some of your favorite activities and methods to spark creativity? Go for a walk, read a poem, listen to a beautiful piece of music, take a bath, or meditate with a few crystals. What apps do you use for your Instagram? Favorite feature in Preview? And favorite filter? I love everything about Preview. My favorite feature is that it’s so easy to move photos around, because I do a lot of that. I also love that Preview helps me generate hashtags. My favorite filter is A5, and I also really love the enhancement features for “portrait” or “food.” If you haven’t tried those yet, you should check them out! 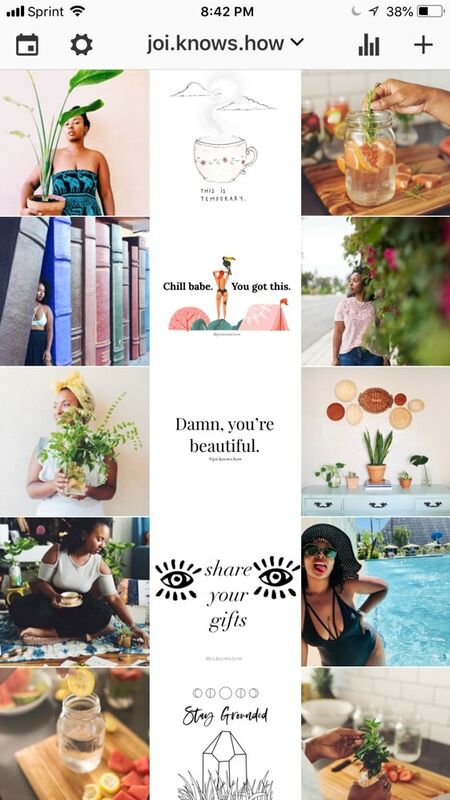 How long did it take you to find your style and curate the perfect feed? First of all, I don’t think there a such thing as a “perfect feed,” but I do feel like I found the perfect style for me when I chose the line in the middle theme. It’s all thanks to Preview App! 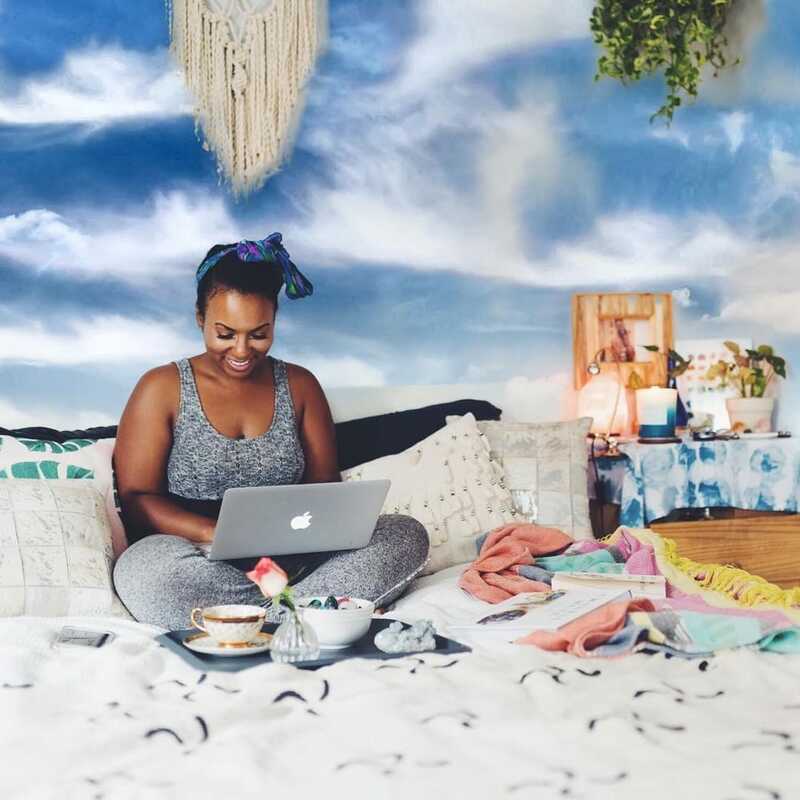 When I decided to start and Instagram for my new blog, I knew I wanted it to be a very curated, creative space. 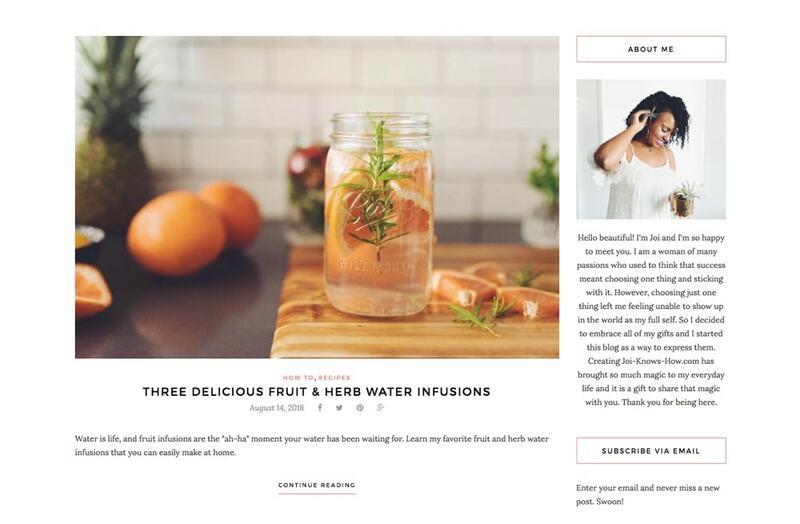 I googled “Instagram themes,” and found an article by Preview explaining different themes. When I saw the line in the middle theme, my heart jumped! From there I read many of Preview’s tips, and then I dove in. I uploaded my first 9 photos, so that I could have three rows and then I launched my new Instagram. Instead of keeping my old account and deleting all my photos, I decided to start from 0, it’s been a little over one year since then. How do you come up with ideas or content for your page? My content in a mixture of my various interests, as well as a space to promote my blog and Etsy shop and Sunday Serenade Sessions (my live concert series on Instagram). I like to use the line in the middle or “river of quotes,” as I call it, as an opportunity to offer inspiration and encouragement. I only post content that is meaningful to me, and I make sure that I’m offering my IG family lots of variety by not posting too much one of thing, which is why it’s so important for me to plan ahead. I’m a very multifaceted person, and I want my content to reflect that. How do you keep it so color coordinated? I approach my feed row by row. If you look at my page as a whole, you’ll probably notice that my colors are actually all over the place (lol! ), but each row has its own little color story, so it works. On average, how long does it take to get a post ready? I do bulk photo uploads and bulk caption writing, so it’s hard to say how long one post takes. I probably spend about an hour or two per week preparing future content. The individual post only takes a few minutes because it’s already pre-planned. The thing that takes the longest is hashtags, and sometimes I’ll change a caption to make it more relevant, but it’s still only a few minutes. 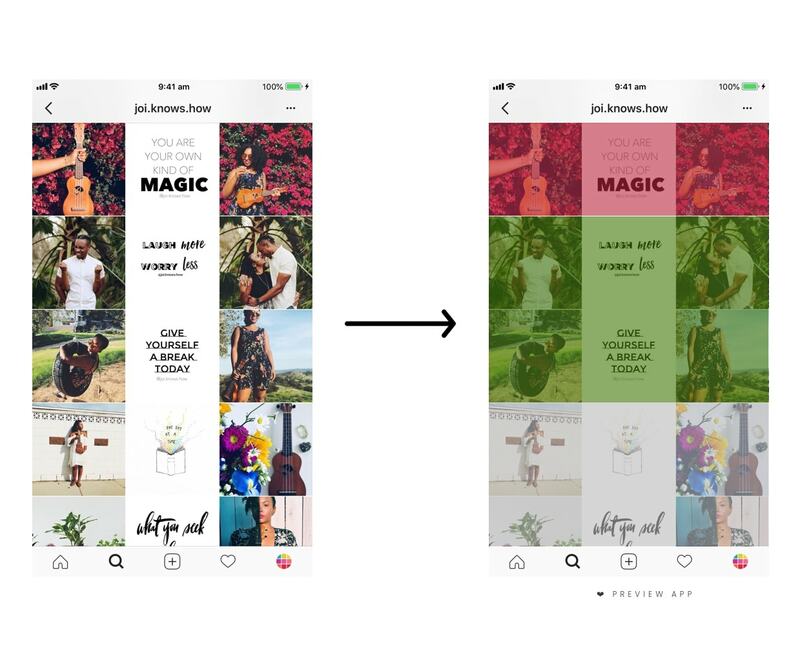 How long does it take you to post on your Instagram feed from start to finish? This relates to the above question, but I want to mention one other thing. After I post I also send a message to my engagement groups (I’m in two of them) and I post to my story to let my IG family know there’s something new to see. This takes a couple more minutes. All together, I’d say it’s still less than 10 minutes since I plan ahead. Do you ever post spontaneously or are all of your posts curated? All of my post are planned through Preview App. When you have a theme like mine, every post matters for the overall theme to work, so I don’t have the luxury of posting on the spot. I do sometimes change up my caption if I have something relevant to say, or feel like sharing something personal. Overall, I save spontaneous posting for my stories. How far in advance do you plan your posts? At least two weeks, sometimes more. I’m addicted to planning my feed! Preview App makes it so easy that it never feels like work. I always leave room for changing things up though. Flexibility is key. How do you do to take such good photos? What are you top tips? First of all, thank you! Starting my blog forced me to become a photographer, and now I love it. I think enjoying the process helps. Always photograph using natural light. Always. And clean your phone camera before you begin! This is a game changer and a must for getting the best photo quality. Just use your shirt to wipe off any residual oil from your hands, your photos will look so much more crisp. Take the same photo from various angles so that you’ll have a lot of options. Find an app and filter that you love to take your photos to the next level. When you want to give your photos a lighter feel, try increasing the exposure instead of the general brightness. Do you take pictures everyday or just once in a while and plan when to post them? Great question! I take photos everyday but sometimes it’s just to update my stories (stories are a super important element of my IG presence). Now that I have an Etsy shop, I schedule time to take product photos about once a week and when I’m doing that, I’ll take a few extra pictures of my plants or crystals or create flatlays to use for content. I also hired a photographer for my blog (@kept_record) who is absolutely amazing and sends me a large batch of photos after each shoot, so it’s really easy to spread those throughout my content. If you take a lot of photos, how do you pick which photos to post? Lighting. I always look for the photo with the most balanced lighting. 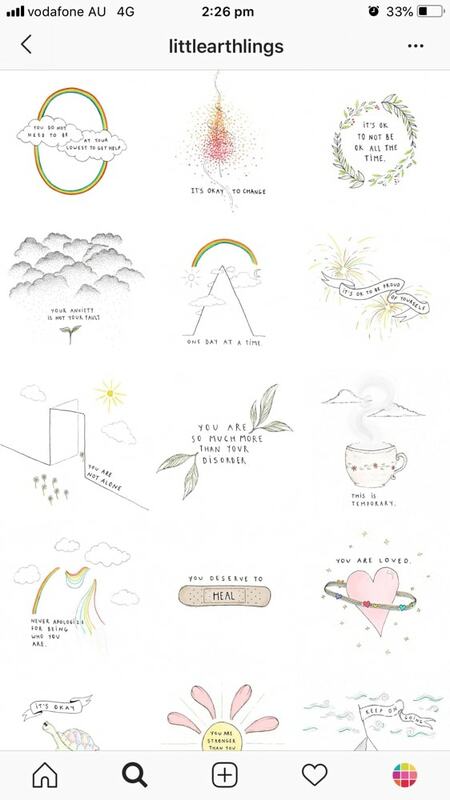 Where do you find your quotes? Do you use any apps for making quotes? Do you draw the pictures yourself? I don’t draw the pictures myself! I use an app called “Over” that has the option of adding graphics from other artists. I’ve only posted a few of my own drawings although I’d like to do more. Making quotes is super fun and anyone can do it. I also repost @littlearthlings quite often. I messaged her and got her blessing to integrate her content into my feed. I’m so thankful she said yes because her messages are amazing. How long did it take you to attract followers? What is your strategy to build an audience / gain followers? Be your authentic self. People want to connect with you, not the perfect version of you, the real you. Always respond to the comments people leave on your posts. If I go to a feed and see that the person doesn’t respond to comments, I won’t follow them. If you have a product or service you can offer, try a giveaway! Nothing will grow your following faster than being a part of a giveaway. I’ve been in a few since launching my Etsy shop and the growth has been amazing. Use hashtags and make sure the ones you use are not overly saturated. If you find a feed you like that features content from other users, don’t hesitate to message and ask if you can be featured. People are nicer than you think. Being featured on a popular page is a great organic way to grow your audience. Always respond to messages, even if you only say a few words. Start/Join an engagement group. Engagement groups are a few people in a group chat that you can share you posts with who will like/comment on your posts, while you do the same for them. I have had good and bad experiences with IG Pods, but once I decided to start my own, I realized that it can be a great way to develop lasting connections. They might not be for you, but it’s a great way to create more engagement on your page, so it’s worth a try! Use stories. When people respond to your stories, it starts a private message. This gives you an opportunity to connect with people on a more personal level. I’ve found that the more personal my connections are, the more my IG family grows, and the less I care about the numbers anyway. What motivated you to start a blog and stick with it? I love this question so much. I started a blog because in the past I always felt guilty about having so many interests and never being able to choose just one. I felt like a failure. Then one day I had a lightbulb moment! 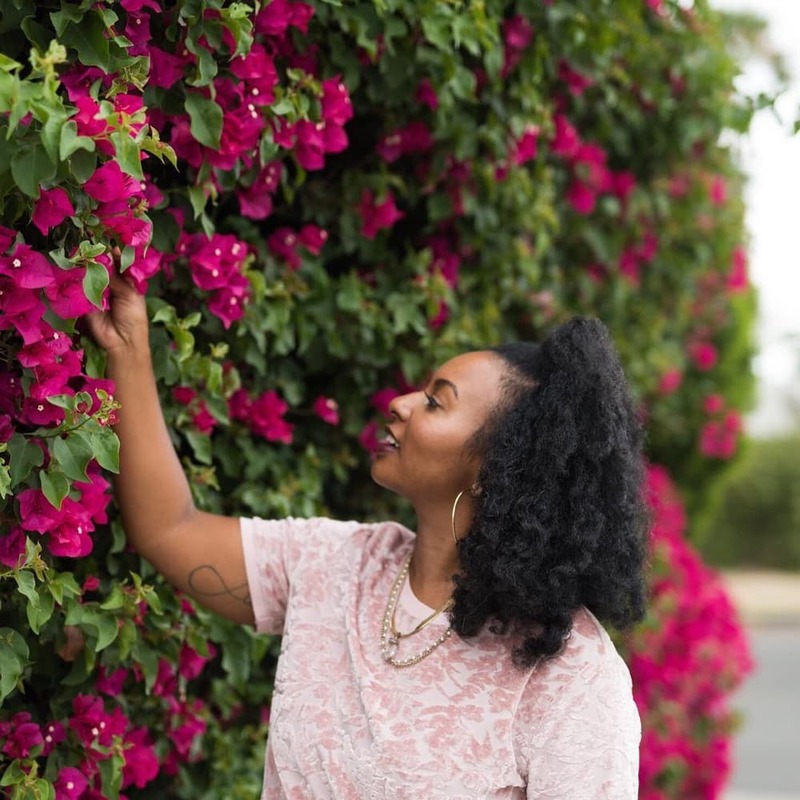 I decided that I was going to embrace ALL the parts of myself, no matter what society says I need to do to be “successful.” Not only was I going to embrace my gifts, I decided to start a blog a safe space to share it all. I surprised myself by being able to stick with it! In the past I started projects but never finished them. I think when you find something that brings you joy, it’s easy to stay on that path. Learning to follow through with my blog is what gave me the confidence to launch my Etsy shop. My blog saved my life. It showed me that I don’t need to be like everyone else in order to be successful and it has taught me to love myself as I am, and to be brave enough to share myself with the world. Were you always confident in your blog writing, if not, how do you become? What advice do you have for someone starting a blog but don’t have strong writing skills? I’ve been writing since I was 9 years old and I have a Bachelor’s Degree in Creative Writing, so yes, I’m a very confident writer. However, writing for a blog has taken some practice since it’s a different style than the poetry and essays I was used to. Writing is like a muscle, the more you work on it, the stronger you will become. If you’re just starting out, my advice is to first brainstorm your thoughts in a way that works for you ( my earliest blog posts were written by hand first). Once you have your ideas out, write your first draft. Don’t worry about spelling or grammar, just get a feel for what it’s like to write. Then, edit that draft. The best way to edit is to read your work outloud to yourself. You will notice places in your writing that feel awkward and catch a lot of mistakes by reading your work out loud. Make adjustments as needed and then read it again until you’re happy with it. If you’re very new to writing, you can also ask someone you trust to proofread your work for you and offer constructive feedback. The most important thing is to let go of being perfect. Start where you are, there’s always room for growth. Oh, and install Grammarly on your computer. It’s a game changer. How the heck do you tie together the content with what you do daily and then blog about it?! I am able to tie together my content with what I do in daily life and then blog about it because I’ve never felt more passionate about anything in my life. It’s my purpose. What are some things you wish you knew when starting a blog and starting a brand? Perfection is not necessary, passion is. 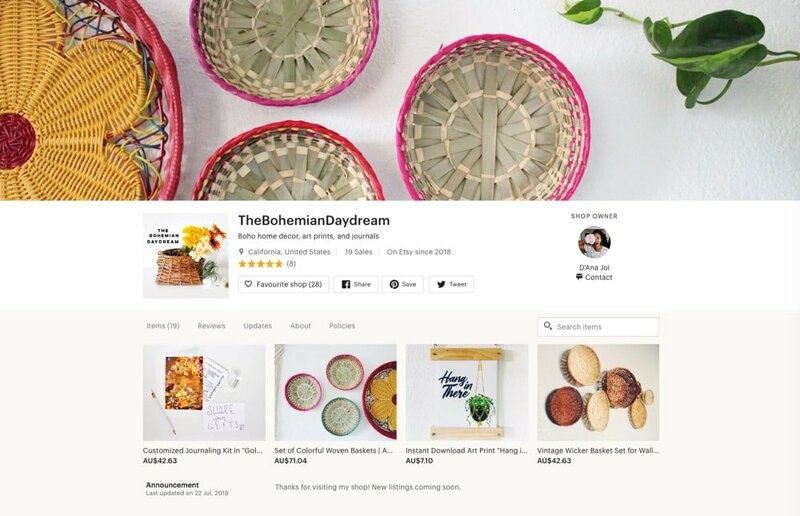 Has Instagram helped you grow your Blog and Etsy shop? Y E S! It’s my number one source of traffic. What have you done on Instagram that has helped you bring traffic to your blog and Etsy shop? Well first off, I made a huge deal about my Etsy shop launch back in June. It was a big accomplishment for me and I wanted to hype it up. I didn’t know what a good job I did of using Instagram to promote my Etsy launch until the day came and SO many people showed love and rooted for me. Preview even gave me a shout out in their stories! My heart was so full of love that day. Also, stories! I use stories like it’s my job haha! I promote new blog post, Etsy listings, and announce sales in my stories all the time. In my mind, it’s a free ad that I know will get seen organically, so I use it to my advantage whenever possible. Sidebar: It took me a long time to feel confident about promoting my own work. The support of the IG community I’m a part of ( I’m looking at you, Preview fam) has helped me build my confidence and know that it’s okay to be proud of my blog and Etsy shop! What’s the thing you love the most about Preview? Without Preview App I dont’ think I would be successful on Instagram, or think of it as a creative outlet. Having the ability to organize my content in advance is SO important because I don’t belong to any once niche. My content spans from plants and crystals, to selfies, to new Etsy listings, to quotes, and yet my feed looks clean and organized, that’s all thanks to Preview. That being said, the community I am a part of because of Preview is by far my favorite thing. Community over competition is RARE in the Instagram world. The Preview community is my safe space. I also love that Preview constantly reminds us that Instagram is supposed to be creative and FUN! But honestly, what’s not to love about Preview?! Anything else you would like to say to everyone? No matter where you are in your journey, know that you are enough. 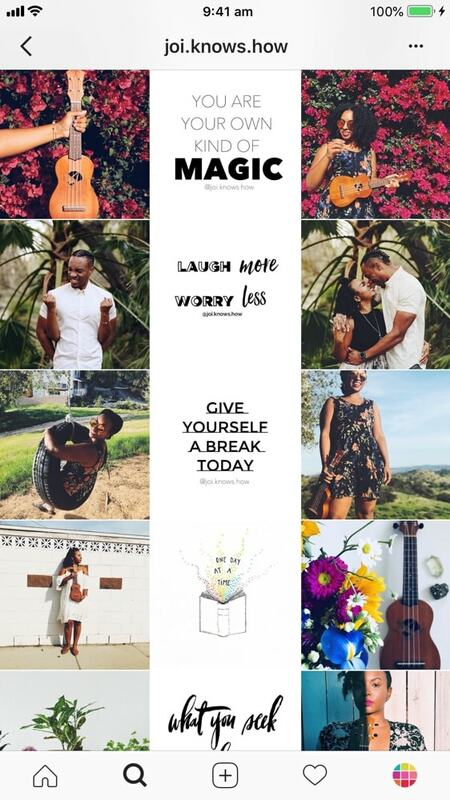 Share your gifts, the world needs your magic. That’s it! 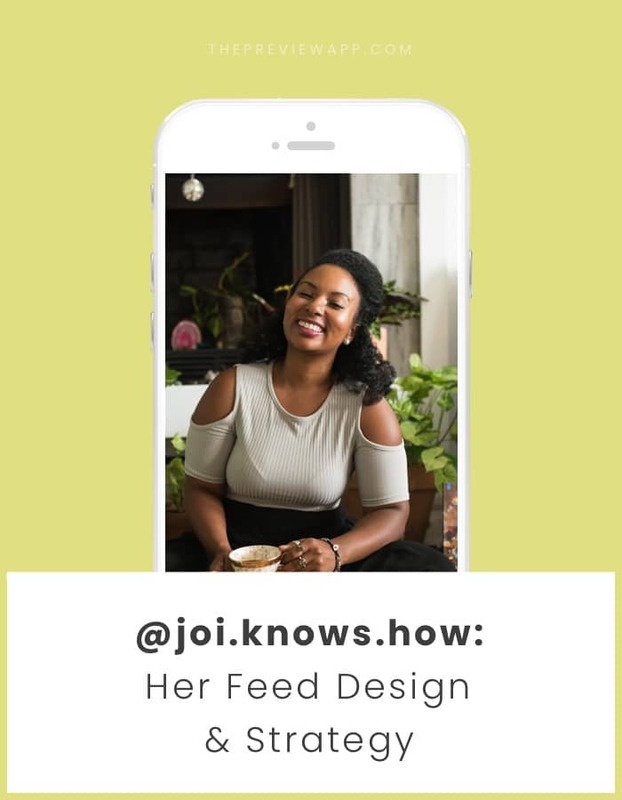 Thanks for sharing your Behind the Feed Joi. Where can we find you?